I discovered a couple of places to buy spices super cheap. This makes me very happy for a couple of reasons. 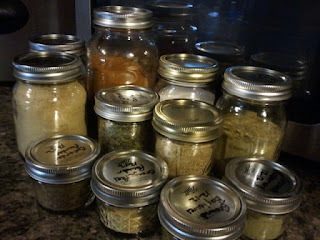 Cheap spices and buying in bulk. 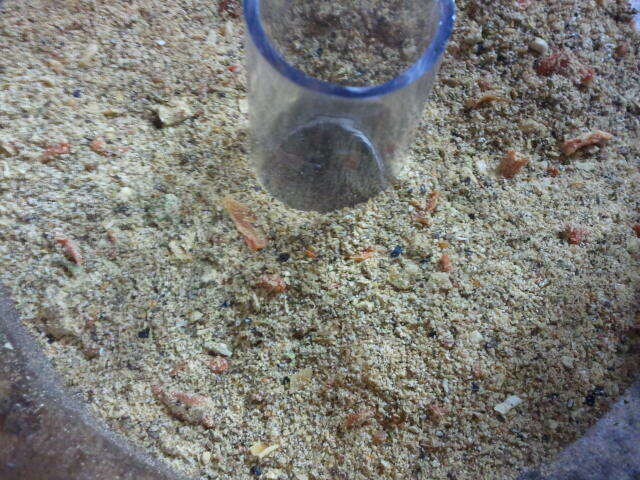 This also means that making my own spice blends will be cheaper and can be made in larger amounts. I'm not getting anything from these companies for mentioning them but I really loved what I ordered so I am simply sharing with you. 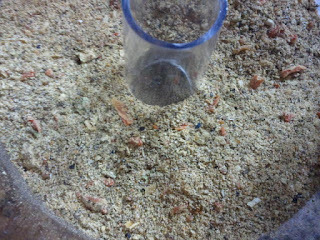 The first one was Marshall's Creek Spices and the second was My Spice Sage. Marshall's Creek has flat shipping with larger sizes. My Spice Sage has free shipping with an assortment of sizes. The selection is fantastic. So I ordered every spice that I didn't have that was on the Mrs. Dash label. I have to tell you, there are SO many different things in Mrs. Dash! You'll see soon what I mean. 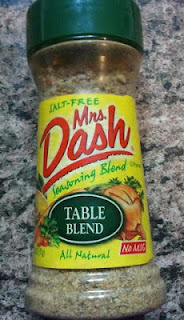 Depending on how often you use these spices it might be a good project to do as a group with everyone pitching in. I searched the internet for copycat recipes and they all varied quite a bit. I listed all the ingredients on the label and then mixed and matched until I ended up with this combination. I doubled this recipe because we use so much and ended up with 1 cup of the mix. 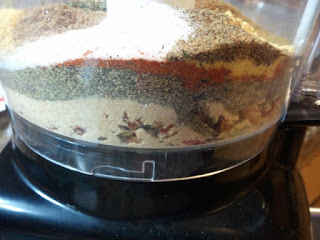 Measure everything out into a food processor. 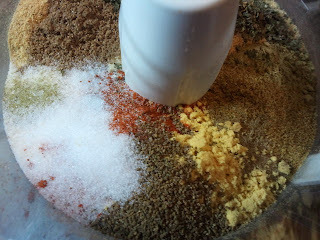 I reused the measuring spoon for each spice but I wiped it off after each use. Pulse until the right consistency. I pulsed a little too long but that's okay, it's just finer. Just a picture of all the spices I vacuum sealed. Not sure why I haven't thought of doing this sooner with some of my lesser used spices.